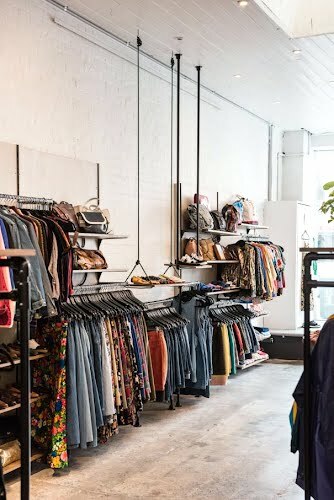 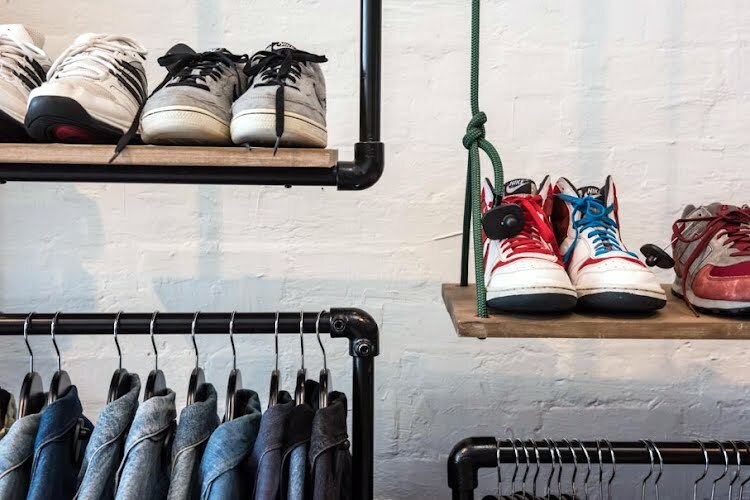 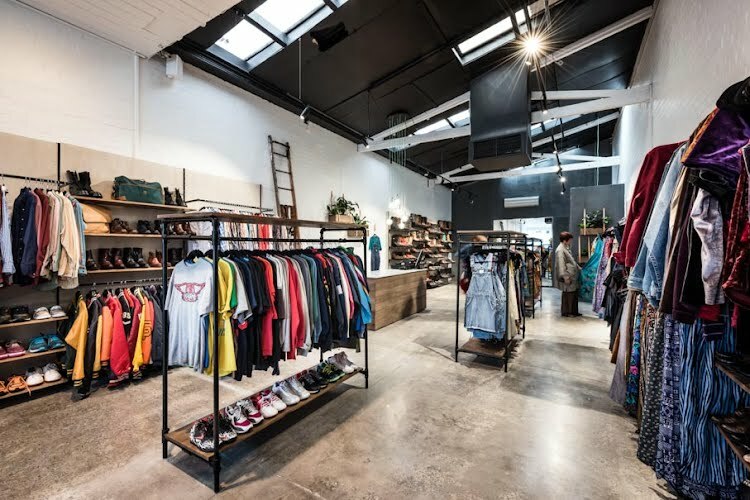 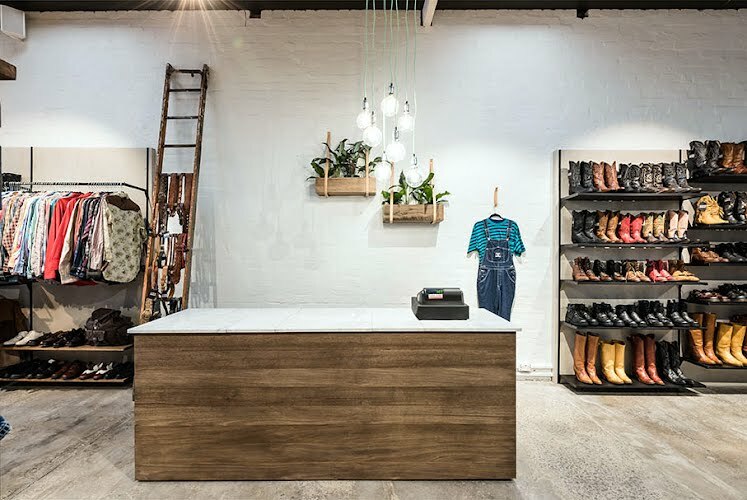 Vintage Sole’s Brunswick Street store recently relocated to new premises in a prime Fitzroy location. 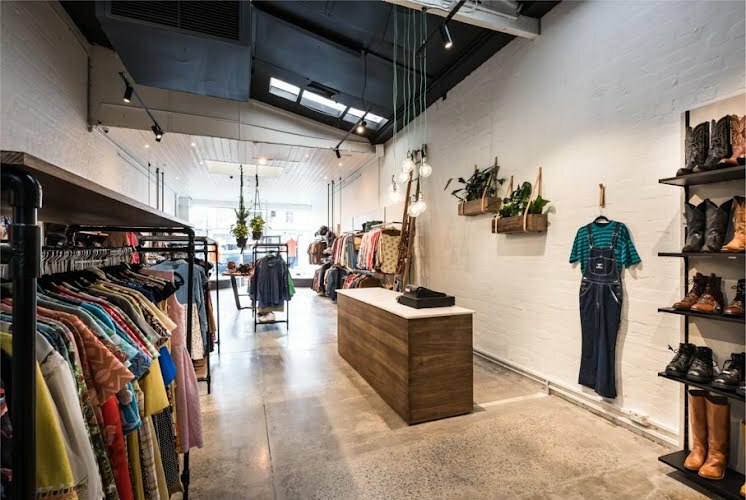 Before relocating Moth had the floor ground and polished and the brick walls and ceiling were all sprayed and painted for a fresh look. 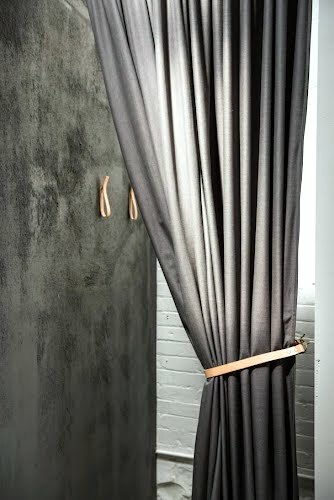 The wall recedes at the end of the long store finished in a charcoal render. 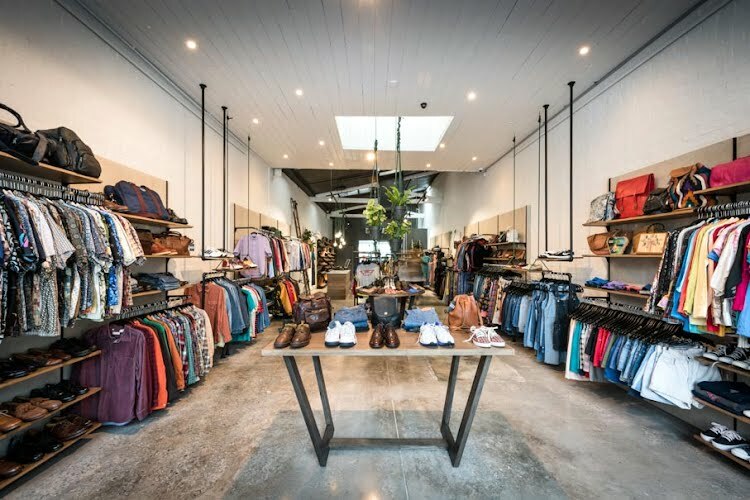 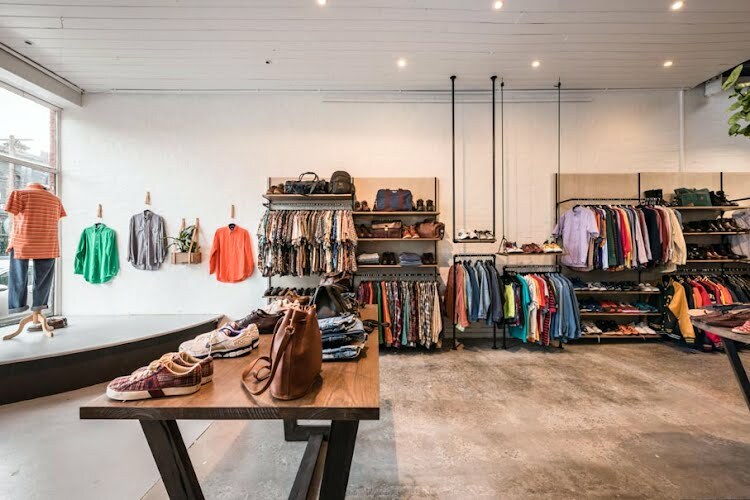 The palette draws on classic materials like stained hardwood timber for the custom furniture and shelves as well as carrera marble for the point of sale counter. 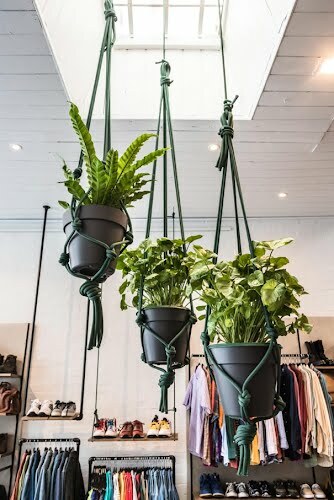 Timber planters with bursts of greenery are hung from leather straps and leather hooks throughout the space provide a functional detail. 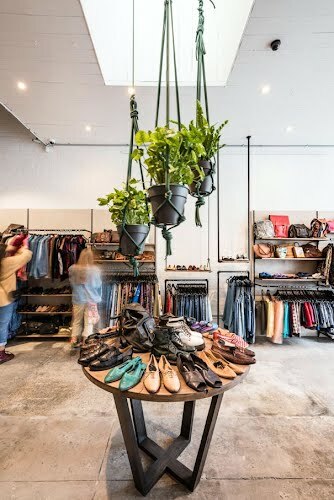 Floor and wall mounted custom pipe fixtures add vertical height above the eclectic vintage merchandise.